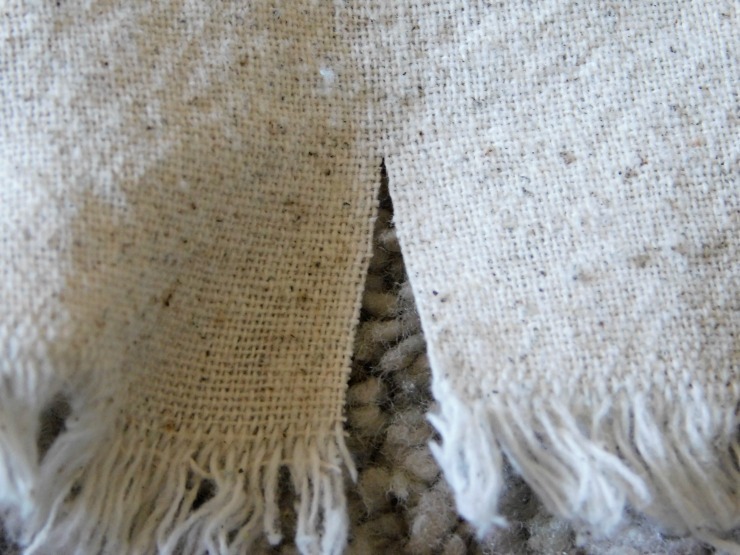 Let's face it-- commercially purchased woven wraps are pretty darn expensive. I mean, I kind of get it-- it's a baby carrier, you need it to be safe, and there are lots of really gorgeous wraps out there. But paying $300 or more for what is basically a long rectangle of fabric is something I just can't justify in this season of our lives. And so, with the help of DIY Babywearing (a Facebook group) and their website, I made my wrap myself! And took no pictures. Ahem. So when my sister in law asked about my woven wrap, I asked if I could make her one because a) I love her and b) it's fun and c) then I could take pictures and blog about it. 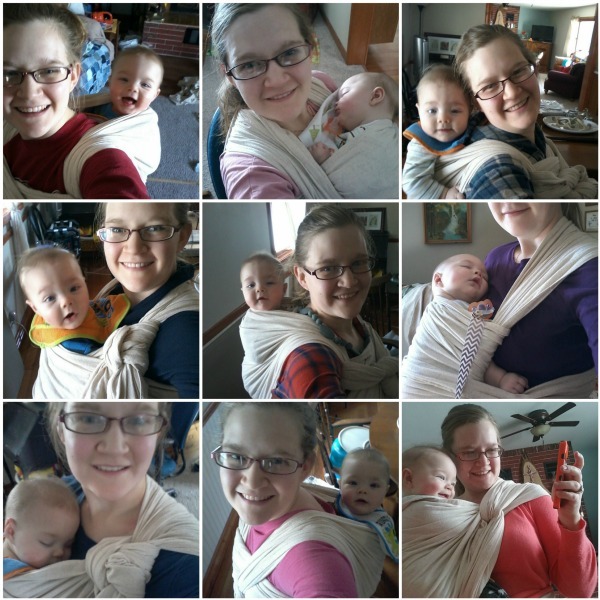 I use a DIY woven wrap with my own child, but I make no claims about the safety of such a wrap. You are responsible for the safety of your child. 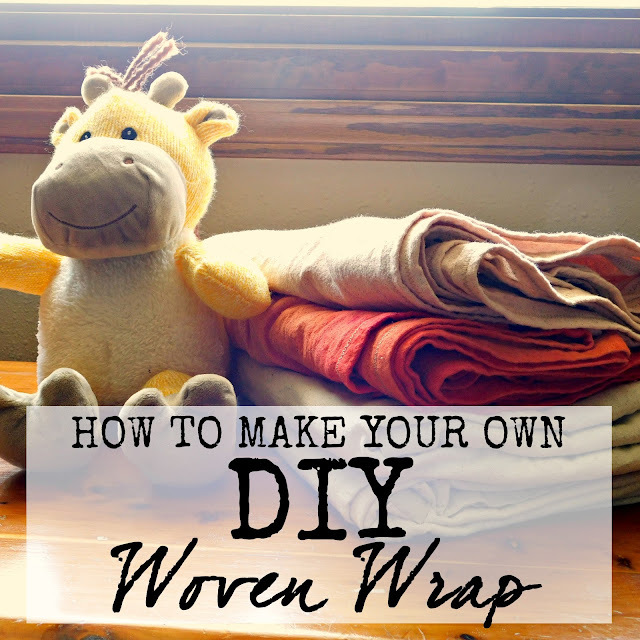 Safely wearing your child is up to you- and that means that I'm not responsible for your little one's health and safety should you choose to use this article to make your own wrap. Use common sense and be safe. Osnaburg Fabric -Choosing the right fabric is probably the most important decision in making a safe and quality wrap. You can find some details about fabric selection on this page-- Selecting Safe Fabric for Babywearing. Personally, I like using osnaburg for my DIY wraps. Osnaburg can be purchased juuuust about everywhere. You can even get osnaburg on Amazon. I got mine from Walmart. Easy peasy. 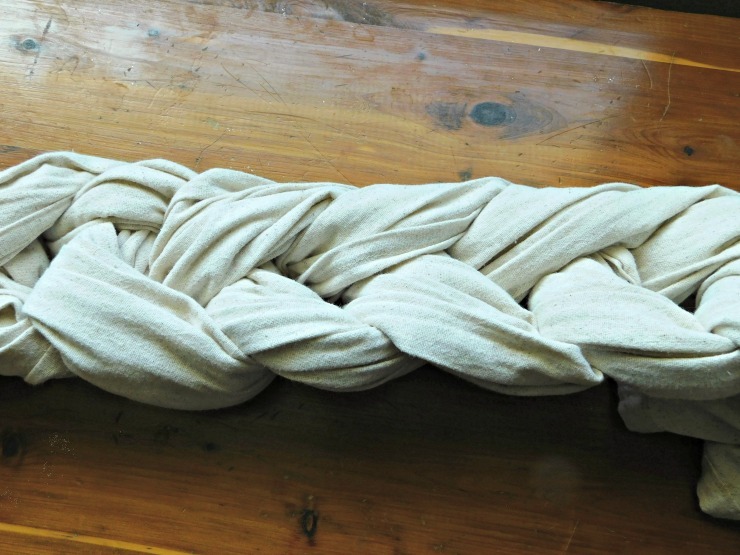 The amount of fabric you'll need will depend on the size of wrap you'd like to make. I think this chart here is super helpful. Generally speaking, most people will have a base size of about 6. I made a long size 6 for this project, so accounting for shrinkage, I bought 6 yards of osnaburg. I also decided to dye this wrap (yay! you can read about how I grad dyed it here!) so I bought stuff for that, too. I washed on hot and dried on hot to take care of any shrinkage. My fabric for this project shrunk about two inches widthwise, and about 15 inches lengthwise. Scouring sounds scary, but it's not at all. This is a step SPECIFICALLY for osnaburg fabric, so if you're using something else, you don't necessarily need to do this. However, if you are using osnaburg, you MUST scour your wrap. Must. 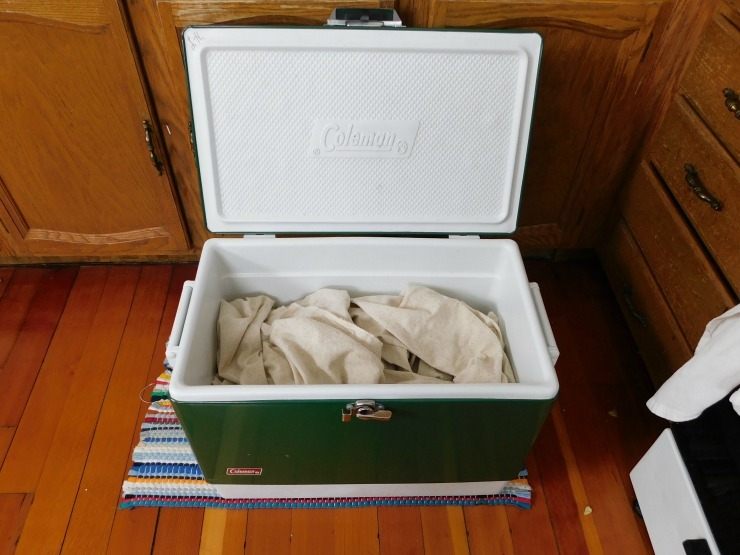 Put the fabric into the cooler, and put Dawn dish soap and washing soda on top. The instructions say to use half a teaspoon of Dawn and half a teaspoon of washing soda per pound of fabric... so... I just dump some of each in on top, doing a really loose estimation of amounts. I figure more is better, so, whatever. 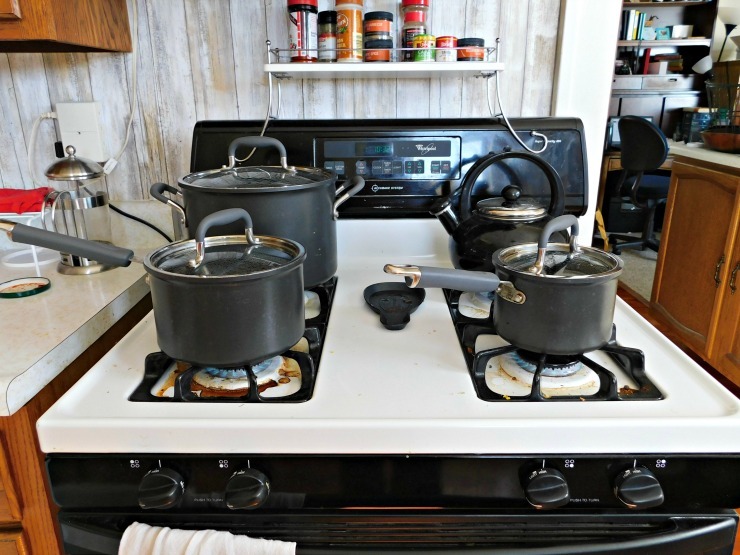 On the stove, start a whole bunch of water boiling. I used a tea kettle and three pots full of water. 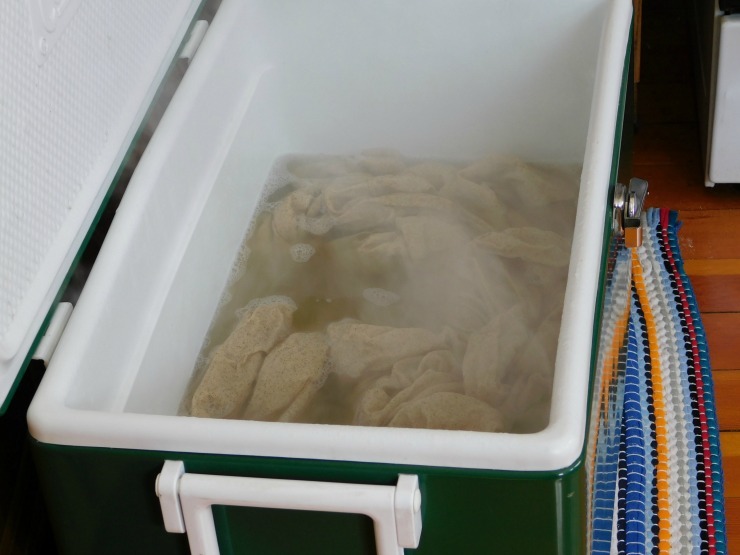 As the water boils, pour it into the cooler on top of the fabric. Add enough boiling water so that the fabric can move freely. I had to fill up my pots and boil them multiple times to get enough boiling water in the cooler. 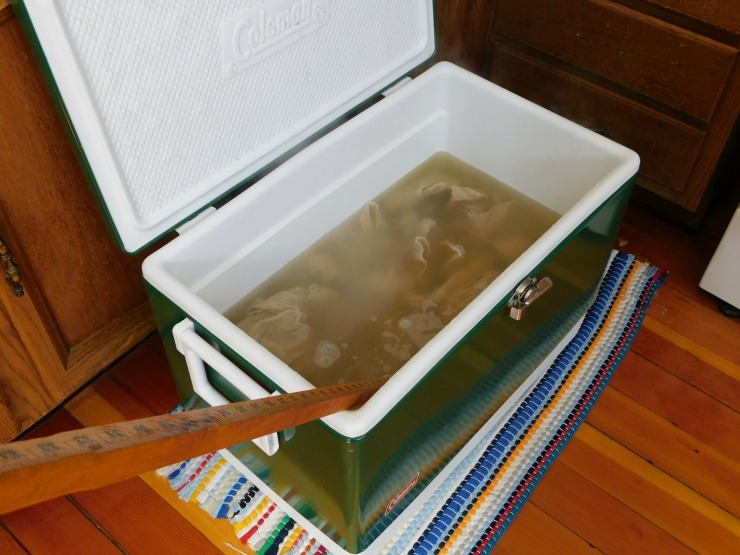 As you fill up the cooler, keep that lid closed to keep the heat in! I stir it all with a yardstick to get everything dissolved and mixed together, then close the lid of the cooler. Let it sit for an hour. The water will look NASTY. Dump the water out (outside is recommended, but it could kill grass!). Just a warning-- the water will most likely still be too hot to touch after an hour. Be careful! I pour out the water, then let the fabric cool down for a while so I can pick it up without burning myself. Stick the fabric in the washing machine and run a full cycle, but no detergent. Hang or machine dry. So, my osnaburg was 45" wide, and that's pretty darn wide for a woven. Width-wise, you're looking for something between 27"-32". I made my first wrap 27" when finished. I'm going just a little wider for this one and I want it 30" finished. So! I cut it at 31" so I have a full inch to allow for hemming. ...and then you can just rip it down the cut you made. It will just rip a nice straight line the rest of the way. Sooo much easier than cutting the whole length. Bust out the sewing machine! Fold the edge about 1/4 inch, then fold it under again and hem. I didn't measure this, and I didn't pin, either... it's another eyeball thing. I like using a zig-zag stitch on this- I feel like it makes the hemming more secure. 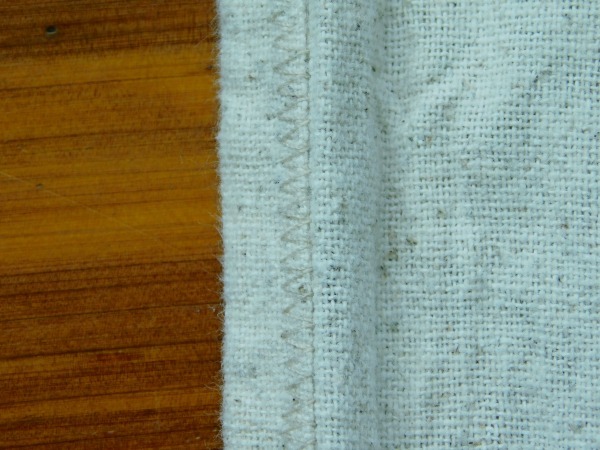 Some people use different types of stitches or different colored thread on each rail to more easily distinguish top and bottom rail while wrapping. Since I'm dyeing this, and the rails will be different after they're dyed, I didn't bother with that. After hemming the long edges, I do the short ends, too. 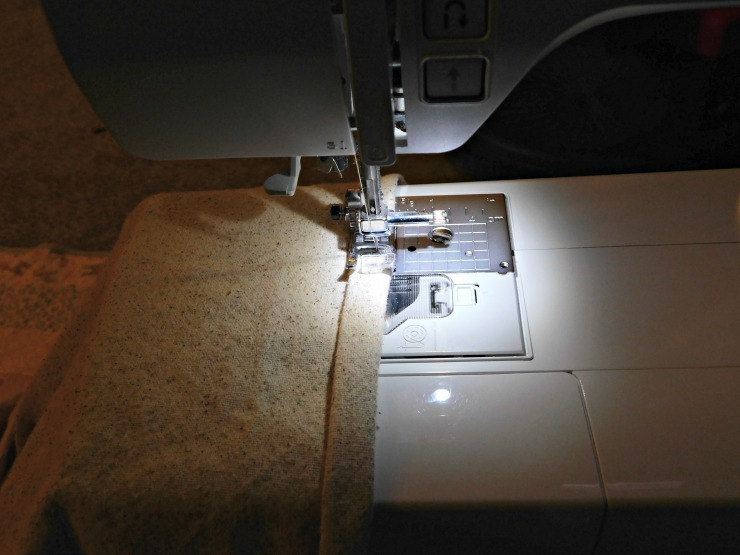 Hemming takes a long time-- it's a huge piece of fabric! For both the wraps I've made, I have done my hemming late at night (hence the bad picture...) and I watch TV while I hem. If you're planning on dyeing your wrap, now's the time to read the steps for dyeing. There are soooo many different ways to dye a wrap-- and it took me a long time to decide what I wanted to do with this one. I ended up doing a gradient (or "grad") dye that gave this wrap an ombre sort of look... I really like how it turned out. You don't have to dye your wrap, though! I left my first wrap natural and used it for months like that-- but now I'm thinking I might dye it, too... we'll see. If you want to hold off on dyeing, you can skip down to #6, but just know that if you dye later on, you'll probably have to do #6 over again. New wraps, including new commercial ones, tend to be a little crunchy and stiff- not super nice for wrapping. Breaking in a woven wrap takes some time and some work, but it's really worth it. I start by steam ironing it-- it really helps to get those fibers softer, but it doesn't get it as soft as I'd like right away. I braid new wraps- pulling the fabric past itself softens up the fibers and makes the wrap more floppy. I also like to just sit on it. I store my wrap on my chair, so whenever I nurse or read or watch TV, I'm sitting on the wrap. Again, this rubs the fibers against one another. The best way to break in your wrap is just to use it. Even if it feels a bit stiff yet, know that the more you wrap your baby, the softer the wrap will get! Comparing this new wrap to my own woven that I've been using for five months-- oh man, the difference! My wrap is super soft compared to this new one. Breaking in makes a big difference. And there you have it! The wrap is now all set for snuggles and fun babywearing together!